← Look What Came in the Mail! When I started writing my memoir, I floundered for the longest time. I had the memories, the writing style, and just enough grammar. But I could not figure out how to structure my story. 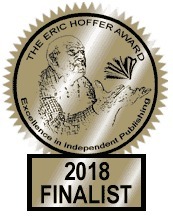 Part of my story is the “child’s survival story” memoir like Mary Karr‘s The Liar’s Club and Tobias Wolff‘s This Boy’s Life. But another part of my story takes place in the present day and also involves family history which took place before I was born. Then I read a memoir which showed me a new possibility. 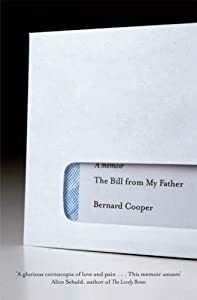 Bernard Cooper‘s The Bill from My Father. In Cooper’s book, he sets the story in a very limited present-day, which covers his father’s aging and eventual death. Then he goes on excursions into the past through flashbacks, which are in some cases very lengthy. His structure is a far cry from what my first memoir instructor insisted upon–complete chronology without flashback. And while I can understand that a story focused upon childhood or a coming-of-age story makes the most sense told chronologically, for my story it wasn’t working. So I am trying to structure using a present-day framework which moves to the past and then comes back to the present again. It works a lot better than telling the story chronologically. Nevertheless, I still have problems with my structure. That’s because I have to deal with excursions into the far past. Mine have to come near the end of my book. Frank McCourt’s family info is provided at the beginning of the book, and to me it’s the one structural flaw in Angela’s Ashes: the stylistically different section where we meet the parents before the narrator was born. What creates the biggest problem for you in your writing? Most of the time my writing just flows; it’s like a train moving along with lots of momentum. Recently, my train moved onto the wrong track, so I have stopped it for a while. Ordinarily, that’s a problem as it takes a lot of energy to get the train going again. But right now a break is good. A break does help, but so does consistency for me. I’m glad your break is good for you. My writing “flows,” if I understand you correctly that it keeps coming. It’s that constructing a book-length memoir out of a story that spans over 50 years can be done in so many ways, but so few that work. It’s taking a lot of trial and error. It’s always great to read other writers’ stories of realisation, but I certainly appreciate the links here too. As you say in your blog, it’s when you can finally come across a written version of a technique then you can start to work out your own. Thanks! I think that’s the thing, finding a model of a structure for a book-length memoir. That helps a lot and saves re-inventing the wheel, in a way. These are some of my favorites memoirs: This Boy’s Life, THe Liar’s Club, The Bill from My Father. I’ve been taught to frame your story into an event of some sort…and then develop it from there…going back and forth and in between as necessary to develop the story…while also moving you along the event. That being said – I’m pretty sure there is not a “perfect” or “only” way to write a memoir or they would all be the same and lose their flavor. Have fun and explore your experience – you never know how you’ll end up developing it. That can be a really good “trick” for structure, I think. Not sure it would work for my story which spans over 50 years, but I do think that’s a really good tip if it works for the story being told. Does that structure work for you? I am just starting to play with memoir. I think that part of the struggle is figuring out how to frame the ‘event.’ Initially I thought I knew how to frame everything, but my event didn’t allow me to introduce everything I wanted to…so, I’m reworking. But, I do think that it will work. I have had that happen to me where I could introduce everything I needed within a certan structure. So frustrating, but we keep going :). Sitting down and staying focused is really my biggest problem. I’m easily distracted. Good luck with your writing, Luanne! Haha, Jill, so many distractions in life, it’s true!! Thank you so much! I find I’m quite good at starting things, but it’s the seeing it through to the end that gets me every time. I’m trying to make myself actually finish a project, even if I work on something else at the same time! I’m about one third through a piece about my paternal grandfather and his family and I am determined to get this one finished! Jackie, that’s the way I have always been in the past. I always take on too much and have a lot of enthusiasm initially, then don’t follow through. However, since I started my book I have not giving up. I am slow but steady, like the tortoise haha. In the meantime I am pretty busy with these blogs ;). I can’t wait to read about your grandfather and his father! Consider the framework I applied to my post “Dawn”. It’s only a short post, but it sounds like the structure you’re looking for. I start in the present then summon memories of past events that share a common bond. Midway through I transition from living a difficult life to living a good one. I wrap it up when I bring the reader back to the present and leave on a positive note. When I look back over my life, I see certain themes that run through it like parallel streams. These streams are the “bonds” that I’m building my stories on. The streams don’t start and stop at the same points, they aren’t always equidistant; they meander, and sometimes they range in intensity from a trickling brook to a thundering river, but as long as I’m alive there’s always at least one stream flowing. BayRidgeWriter, it’s true that the same themes come up in someone’s life. It amazes me sometimes to think of how something that was part of a thread of my life many many years ago lay submerged or inactive and is now again an active part of my life. Like your streams . . . .
Luanne, having read your reply to Dawn Pier, I have a thought about including events that predate your birth and tying them together with your own trove of memories and the present. I faced the same problem when I wrote my post “Circles”. I start out with an event 5,000 years ago. I follow a path to other events in the intervening years, but they are still ancient. Then I mention visits I made there over the last four or five decades, to set the stage for returning to the present. Finally I actually bring it into the present with a contemporary event. Again this is only a short post, but I don’t believe the length is a factor; it should work in a longer story. I spent months working out different ways to capture a reader’s attention and keep him or her entertained from beginning to end when I wrote it. I believe this accomplished my goal, but only others can provide an unbiased opinion. Perhaps you could find something in that approach to use as a vehicle to carry your reader from place to place in your story. Have you read Cheryl Strayed’s “Wild”? It has the kind of structure you are talking about and she does a really seamless job of transitioning from the present (a challenging hike on a mountain trail) to bringing in memories of the past. She always uses an event in the present to prompt the memory and it works really well. Not an easy thing to do, but definitely worth the try because it’s the one thing about her memoir that is stylistically outstanding. The rest of the writing is good, but not WOW GREAT! It’s also a really fast read, so worth the effort. Good luck! Dawn, I read it recently! It has a similar structure, although for me it’s reversed–I have less in the present day and much more from the memory banks, whereas she stays focused much more on the hike itself. In fact, her movements outside of the hike seem a bit superficial, I think. I found it a fun and easy read. A good book, but no, not a book, to my mind, like The Liar’s Club or Don’t Let’s Go to the Dogs or This Boy’s Life. Another note: my biggest problem is actually how to add in the stuff that happened before I was born, which is a 3rd element that isn’t a part of strayed’s book (or most books, in fact). Very aggravating. I’d rather just have a perfect model ;). I haven’t started putting my memoirs in any order yet… still just writing tidbits and happenings. I appreciate all the ideas on how to organize. Right now it seems overwhelming. I really don’t know where to start. It does seem overwhelming at first. However, I think it’s a great idea to write the tidbits first. I did that and before I knew it had 150,000 words (don’t ask me how), so now I have stuff to pull from for structure and to work in with new pieces and sections. Good for you, Ruth! That’s great. Yes, keep going! Cheryl Strayed’s Wild may be a good structural example for your memoir, and it covers only a few years of her life (by the way, her book, at 315 pages, equals around 140,000 words, and Angel’s Ashes runs 364 pages). 50 years is a long period to cover. I began my own memoir with a similar goal but by the time I had written 110,000 words, I realized it would be encumbered by too many digressions into the past. So I did the “uncreative” thing and worked chronologically, starting with an event that wasn’t where I’d originally begun but represented the heart of the story. Luanne, I don’t know the heart of your story, the emotional nugget, the kernel of it, but I suppose you do. As a suggestion, that’s where I would anchor the story, regardless of when in time it occurs. Then, limiting my story to the themes entrenched in that central event, I would visit the past as required (and perhaps the future?). Then, I would ask myself whether a single book is what the story calls for, or if there might be two or three major divisions within those 50 years that might better serve as separate books. As I say, that’s only a suggestion and could be something to think about. Fyi, the second draft of my memoir, which covers ages 4-19, will probably run fewer than 120K words–that’s about 260 pages, using the same calculation method as with Wild. I’m enjoying your posts. Keep writing! Just read your comment to Dawn. Within your story, conversations with family members can be a good way to present events that happened before you were born. Ken, I think dialogue or told stories is going to be the most accepted way to go for that portion, although I would actually like to re-create more along the lines of Half-Broke Horses or Still Life with Rice, two books which tell the stories of the writers’ grandmothers. I’ve narrowed down to my main thread, which is about my father, which is why it covers over 50 years, but doesn’t cover my life of over 50 years like an autobiography. Interesting that you have it figured at 120K words. People have lately give me figures much lower, but they seem too low to me. That sounds more appropriate. Structure. Although whenever I hear the word “structure” I think of this scene, and I have a hard time getting back to writing! I love Madeline Kahn!!! Oh man, I miss her! Me too. But my memoir needs some bone structure. I’m sure it’ll develop some when it gets older. YOU are a funny girl like Madeline!! My issues is still content. I read so many comments throughout other blogs where folks say they want a personal story and not paragraphs of endless dialogue. I struggle with finding the line in what to include and what to leave out. I feel like my posts can be way too short and I wish that I had added more. I’m my own worst critic. You’re a terrible critic of yourself! I love your posts! MY biggest problem is family. Valerie, I’m disturbed to hear that about your family. Does the nut case try to comment on the blog itself or is it in person that you hear about it? Yes, to hell with them is right!!! It’s your story; you own it. Sends me vicious e-mails and has spread poison round the family. I didn’t say anything thinking they’d recognise what was going on, but they believed him, and I’m in the naughty corner with just about every one ! I’ve heard of it happening with others who write family memoirs, and even a woman who wrote a teenage novel, and her family saw things they didn’t like in it, and gave her hell !!!. As if we writers don’t have enough trouble with publishers, we have to run the gauntlet of family too !!! It’s true that family is a problem. I targeted ten years to write my memoir, not only because I wanted to take enough time, but because I didn’t want to disturb my parents with it. One odd thing that has happened to me which is related is that I have asked two childhood friends to write down some notes about things that happened to us as children so I could get their perspectives (as a way of researching). One said it was too painful. The other one helped me a bit and then when I shared the piece she helped me with never responded! Yes, it’s amazing how the past presses people’s buttons… in my case it was about my experiences before my half brother was born ! The only thing to do is to move on – and leave them behind !!! You might look at Welcome to Shirley by Kelly McMasters. I just finished reading it for my summer memoir class. It’s a very different structure from other memoirs I’ve read and includes quite a bit of both family and informational pieces that take place long before the author was born. She uses flasbhbacks of information all throughout the memoir, not just as the beginning. It might be helpful for you. Good luck!! Marching right over to Amazon and B&N! It sounds like a super great idea for me to read it. Wow. Thank you so much! Renee, I’m thrilled that you’re reading Mary Karr. And I’m blown away your dad is reading her books. Good for him! He’s loving her stuff… especially Lit now! My biggest problem is my description, I tend to write the way I see things but my editor disagrees, she stressed that I should write through the eyes of the reader – I agreed, ( for a while) but I was not convinced and when I tried it, it didn’t work. So I write the way I deem fit, and I’m never short of readers! I think a writer has to please herself, and as long as she has a feel for how to communicate and isn’t just doing it for herself alone, it works out better than just trying to please readers, who after all, are all different people with different personalities! Maybe, if the chronology of events doesn’t work, the chronology of their discovery will. For instance, I didn’t discover that my parents only knew each other three months before they married. What was interesting about the discovery wasn’t the fact but how it affected me. Did it change my marriage? My relationship with my children? Were they making the same mistakes my parents and I had made? How has discovering the past affected your present and your future? What’s different in you life because of your history? How has it made you different from the “norm” from others you know? How has it made your life better? Worse? Where do these discoveries fit into your life now? Is that at all helpful? Hope so. Good luck and good work. Frank, the chronology of discovery can be really good. If I remember right, it seems as if Rebecca Skloot does that in The Immortal Life of Henrietta Lacks. It will work (I hope) for my story in a limited way–at certain points. Thank you so much for opening up ways for me to think about my project!! I faced a problem similar to yours. I even wrote a blog post about it (sounding way more confident than I felt at the time). I have present and past tense in my own memoir, and I also use backstory, although I try to keep that to a minimum. So far, none of the readers has complained about it. I think a writer can get away with backstory if it’s *interesting. * Readers don’t want to be taken away from the main narrative for a boring bit of history. And now I want to read A Bill From My Father. Thanks for the tip. I hope you like Cooper’s book, Lynette. It’s not as yummy as a book like The Liar’s Club, but it’s so well written and does such a great job structuring the material that he had to work with from his relationship with his father. Yeah, backstory is such a problem in memoir. The stuff that happened before I was born isn’t really backstory, but part of what is “revealed” in the secret in my family, so that’s why I am more open to thinking of different ways to reveal it. I think that if you are clear when there are flashbacks and keep the story going around it, that will be good. I am actually a chronological person, so I would have a little trouble writing a whole 50 year anthology/history of a family. But am very interested in your process and suggestions, plus taking suggestions from others, too. Oops, I didn’t make clear that I’m not writing an autobiography or family history over 50 years. It’s one specific thread about see growing up as my father’s child and how and why a family secret affected all of us. Yeah, 50 years of everything would waaaaaaaaaaaay too much for me ;). A memoir-writing instructor who insists that his students write completely chronologically should be sued for malpractice. Time disjunctions are an increasing part of both literature and movies, and readers are increasingly able to adjust to those demands. Once you decide to play with time, however, you must discover a way to not confuse the reader at the same time as you keep the reader’s interest. In fact, often time is jumbled up in order to keep interest. Childhood scenes are often boring unless connected to an adult character, which is why they’re often done in flashback. Structurally, my biggest problems have been in how to deal with the passage of time. In the end, I’ve come to the conclusion that it doesn’t matter if you make a huge jump in time if it’s in the interest of not boring the reader. Recently, I published my first novel, What Happens to Us, http://www.amazon.com/dp/B00DSSN5SU, and it’s amazing the wildly divergent opinions are. The reviews have been all good, but readers bring their own framework to the actions in the novel. One religious reader thought my leading man was “a dog” because he dated (slept with) someone other than the leading lady, even though the leading lady and him weren’t even dating. Another reader thought my antagonist wasn’t interesting because he wasn’t brilliant like Hannibal Lechter. Once you throw your book to the dogs, don’t be surprised when they do with it what they will. David, thanks for weighing in! Yes, it seems ridiculous to keep it all chronological, without weighting or connecting certain events. Your book looks fascinating and definitely timely, considering world events right now! Yes, I’d like to thank Edward Snowden for the unexpected sales avalanche! If only I had his email address…. Hahaha, yes, so many wish that.